21 - 1 parallel dots (Neer Pulli) Kolam. Start with 21 dots in the center, leave one dot at both ends and stop at 1 by putting parallel dots at both sides as shown above. Join dots as shown above and erase the remaining dots. Draw thick lines and fill with desired colour powders. Your Koolams are great..!! wonderful..!! These all kolams are awoesome.....i love them all....!! Thank you for visiting my site. 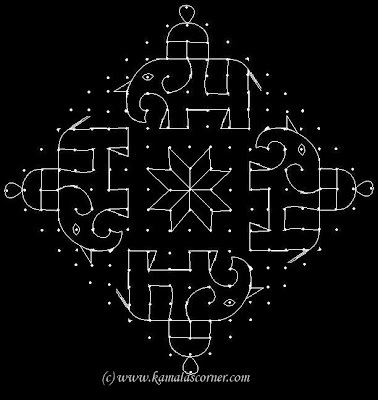 If you subscribe to my site, whenever I post a new kolam, it will come to your e-mail. 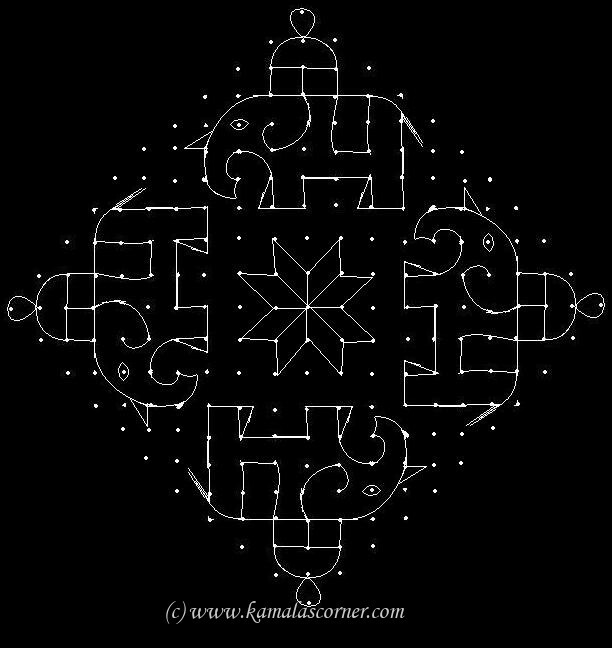 All kolams are absolutely beautful. hi! 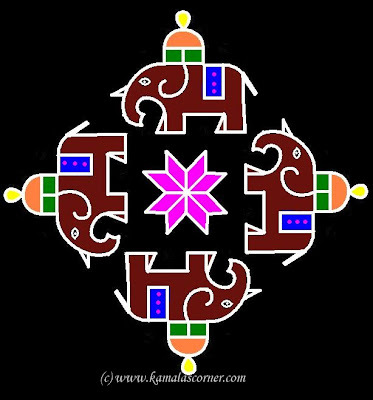 kamala these kolams r very beautiful!. i want more sikku kolam. will u pls help me? Thank you for your nice comment. I have already posted some sikku kolam. Please click "Sikku Kolam" catagory. Will post more soon. 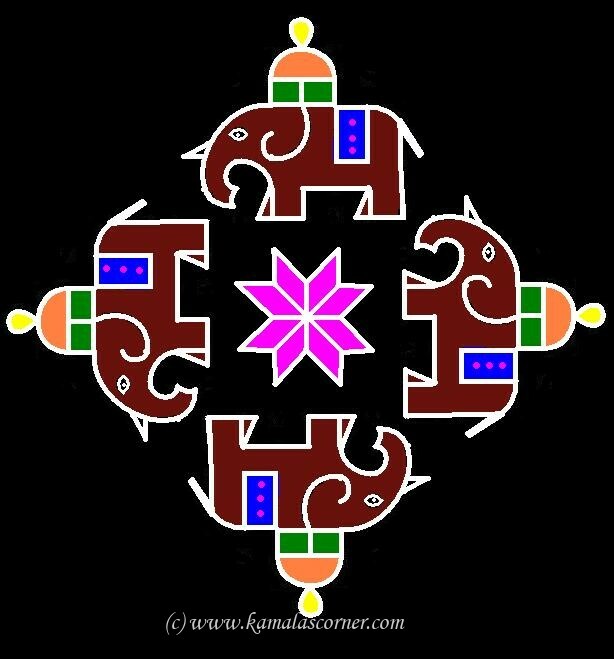 could you post the drawing technique for this elephant kolam? ?